Why is the 23rd March a public holiday in Pakistan? It commemorates the passing of the Lahore Resolution, when a separate nation for the Muslims of the British Indian Empire was demanded. The resolution was passed on the 23rd March 1940. Read about it more by clicking on the link. 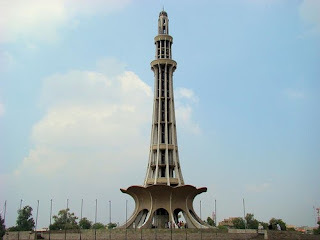 was built in commemoration of the Lahore Resolution.